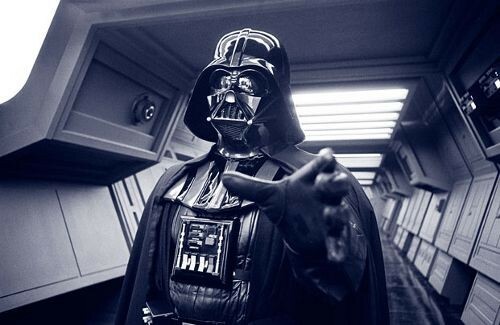 If Darth Vader approached you with that grip and told you to save your money, you would probably do it. Fortunately for us, we don’t have to worry about Darth Vader and we are free to spend our money any way we wish to do so. For Canada, consumer spending accounts for roughly 58% of our Gross Domestic Product. In simpler terms, things that we buy and pay for account for 58% of Canada’s total economic activity. For many of us, consumerism runs in our veins. We buy 30 pairs of shoes, 20 purses, 10 pairs of jeans, 3 cell phones, and we still feel that we don’t have enough. It feels good to buy things. It’s almost like an adrenaline rush that we get when we’re speeding 80km/h down a school zone and hoping the neighbourhood police officer isn’t watching. Yes, that sounds stupid and absurd, but so does owning 30 pairs of shoes. If you are working at a decent job and finding yourself living pay check to pay check, you may want to review your spending habits. Some of us don’t have the will power to stop spending. There is nothing wrong in achieving happiness through consumption. Everyone is entitled to use their earnings for their own enjoyment. There is definitely no right or wrong there; however, if you don’t plan on working for the rest of your life to support your spending habits, it might be time to rethink how you are going to save. One of the easiest ways to save is to buy a house. It may seem absurd to suggest to someone that cannot control their own spending to go out and purchase such an expensive asset, but the fact is, buying a home is a way to generate “forced savings”. Everyone strives to provide a roof over their head, whether it be rent or mortgage payments. If you are the type to spend every cent you have, it’s smarter to pay a mortgage. At least when you retire, you’ll have an asset that will hopefully be paid off. Having a home won’t put food on the table or get your the medication you’ll need when you are out of work and retired, but at least it’s something. Renting and spending all your money without saving for retirement would lead to a foolish predicament. The fact is many of us will never invest the money that we earn. Some are just not up to taking the emotional task of putting their money at risk. ETFs sound more like aliens than investments. A TFSA account is just our everyday bank account. An RESP was just missing the ECT that everyone should be giving me. 95% of us will probably do nothing with our money in our bank accounts or we might have financial advisors manage our money and milk our savings through expensive mutual funds. Most of us don’t want to learn about personal finances because it’s too hard, yet deciding what color shoe to wear for tonight’s soiree is more important. Buying a home sounds easy. We all know we need somewhere to sleep. So it makes the perfect savings vehicle. This post may seem like bad advice for the financially prudent, but we’re not talking about the thinking group here. We’re talking about the obsessive, consumerist shopper who cannot stop spending. If someone is going to spend all their money away in their lifetime and go on renting for the rest of their lives, then how is it bad advice to buy a house no matter what it costs? Even if that house were to lose 50% of the value, that 50% left is better than nothing. Most people will do anything to keep a roof over their head. It’s one of the necessities of life, unless you’re happy sleeping on a concrete sidewalk next to a heated grate in the middle of winter. If that seems appealing to you, I can’t help you here. That fear of homelessness is what prompts us to make timely payments for our housing requirements. It’s why people will do anything to pay off their mortgage first before anything else. It’s the reason why we force ourselves to save. It’s also why Darth Vader makes you do what he wants you to do. Fear.